is your full service earthmoving and grading company working within the mid to high-end residential and commercial markets. 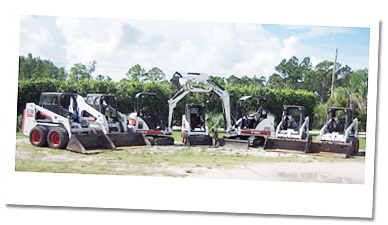 We specialize in construction grading, earthwork, underground utilities, parking lots, land clearing and site drainage systems. We have served clients within the mid to high end residential and commercial markets in Dade, Broward, Palm Beach, Martin and Port St. Lucie Counties for nearly a decade. We are proud of our impeccable project performance record and continue to offer customers dependable service at a competitive price.